This post shares a free printable shadow matching game based on the book Miss Turie's Magic Creatures. We received a copy of this book in exchange for our honest opinion. If you have a child, I am sure you can remember a book that you had to read over and over and over. If you were lucky, it was one you enjoyed too. 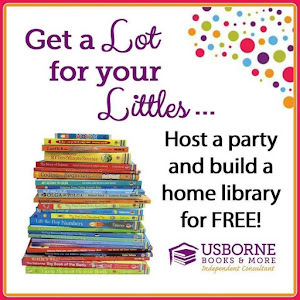 Maybe it was always the same book, or if your little one was like mine it changed every couple months. Currently, I fall into the lucky category. My littlest is absolutely obsessed with this fun book, Miss Turie's Magic Creatures! This book is about a pet store that sells mythological creatures. It is written in rhyme, and has a surprise ending that is just perfect for our family. There is more information at the end about all the creatures pictured in the book as well. We read this book multiple times a day, and my older kids like to argue discuss their favorite mythical creature and whether or not phoenixes can increase in number or if they just continue to be reborn without ever changing in number. I know they obviously they must lay eggs, but the 7 and 9 year old couldn't reach this agreement. Anyway, I wanted a way for my youngest to enjoy the book without me burning dinner because she wants to hear it again. So I made her a little shadow matching game. I specifically wanted this to be something she could use on her own as well as something she would use with a sibling that was finished with their school work or daddy. So the first way to play is on your own. You can lay all the pictures facing up or all the shadows and just match them up. Really, she was pretty excited about this game of matching that she could do all by herself. Then she learned she could play with someone. Daddy was the lucky one to try it out since he was home at the time. She even had some help from one of our resident magic creatures. 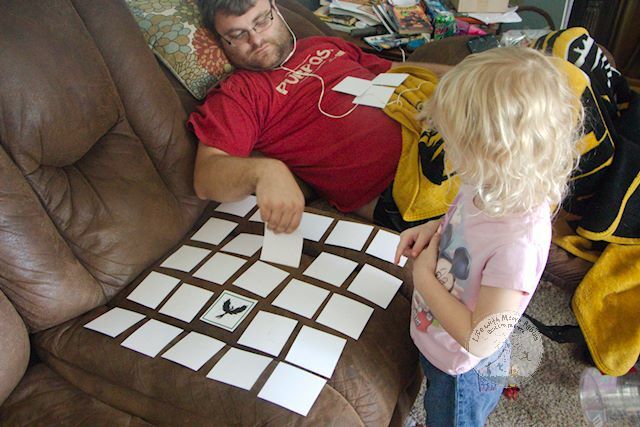 So as you can see, the second way to play would be like your classic memory game. Turn all the pictures and shadows upside down and shuffle. Lay them out in rows. Then you take turns looking at two for matches. If you find a match, you keep it. Whoever has the most at the end wins. 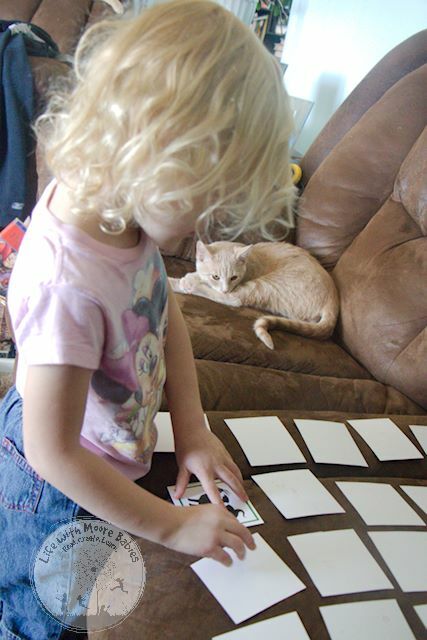 Matching games in general are great for kids to work on their memory skills. But shadow matching also improves their visual discrimination because rather than notice the colors, they have to see the shape. 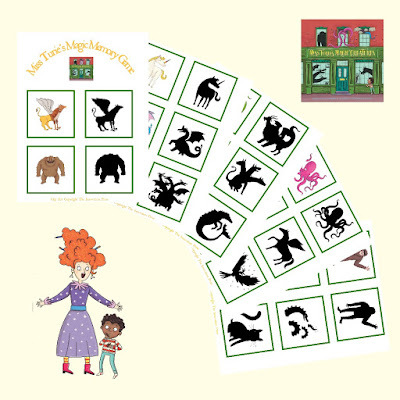 In this case, the shapes are of mythical creatures, and if you review what they are as you play the memory game you can get a lot of vocabulary in too. For example, my 3-year-old knows more about mythical creatures then a lot of adults. Except Cerberus, she insists he is just a dog. 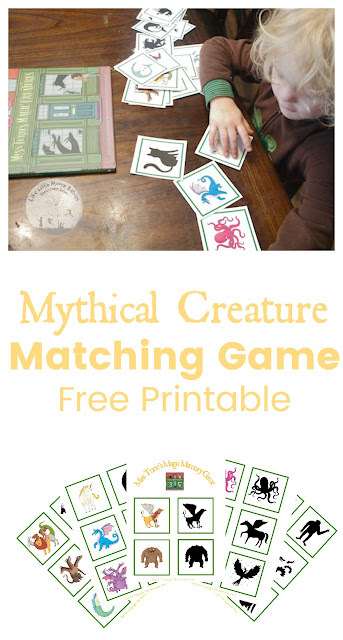 Now you can download your own copy of our Miss Turie's Magic Matching Game! Read Miss Turie's Magic Creatures, play the game, and listen to all the mythical creature arguments discussions! 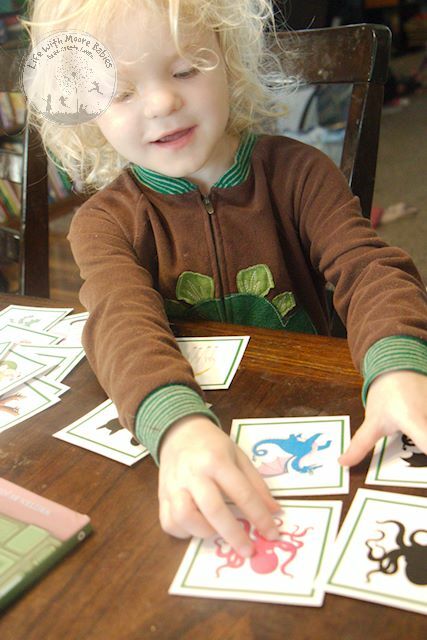 One more tip, print on cardstock, so you can't see the pictures when the cards are turned over! 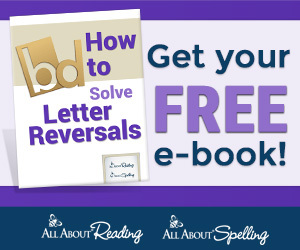 Become an email subscriber and get access to our Resource Library!